(Los Angeles, CA) Devilishly handsome male performer Ricky Johnson continued his 2017 winning streak with a big win last Thursday night at the XRCO Awards. Ricky took home the statue for New Stud at the 2017 XRCOs. He was in attendance and rushed up to the stage to accept his award. 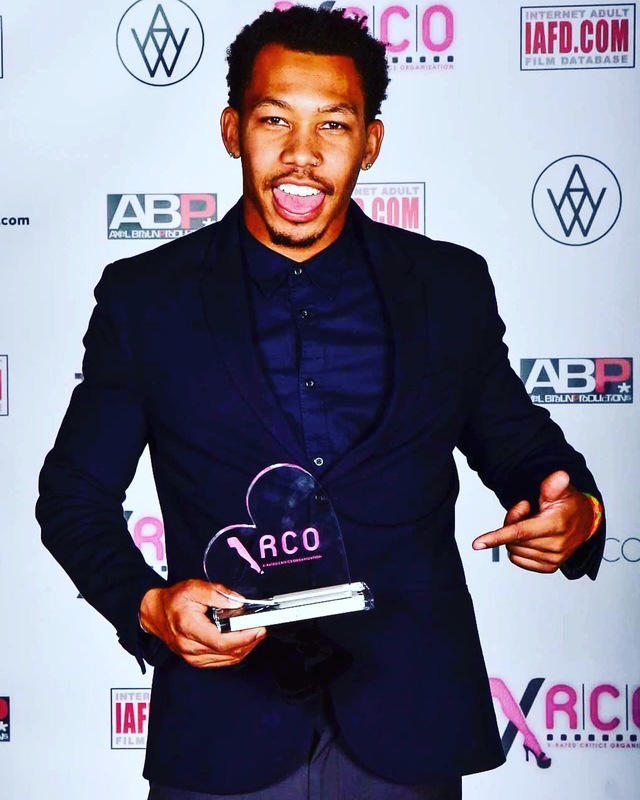 The humble, multi-award winning performer thanked all three of his agents at OC Modeling, publicist Erika Icon of The Rub PR, and all the directors and studios who worked with him this last year. As he took pictures backstage in the Winner’s Circle posing with the coveted award, he promised to continue to be the best performer he could be, win future awards, and make his agent and publicist proud. 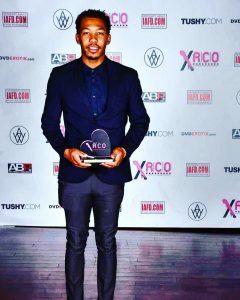 A list of all the night’s winners can be found at http://straight.fleshbot.com/6020784/the-2017-xrco-awards-winners-are.